Green Architecture is probably misunderstood and misrepresented ie the Green certification program make a building Green.Neither is it that merely planting of green plants in building does not represent Green Architecture. Existing Green Certification programs exists but the focus is skirting the topic and issues at large. But rather ,the planting of Green plants must have a purpose, which ought to be, to provide benefits of eco biodiversity, reap the benefits of health as type of home affects your health and improves the Biodiversity of the surrounding environment. And it ought to saves the eco system and our future depends on it. Our future and sustainability depends on it on how we teat the Climate system, which we all share..Global temperatures are rising and it is said that the most conservative calculation indicates a temperature increase by 2-6 degrees C by the year 2100. The climate systems are being aquandered.Our Eco Biodiversity is being lost rapidly. The Loss of biodiversity ought to be the primary reason for Green Architecture. Buildings and Infrastructures are to design the strcutures with a restoration of biodiversity –Restorative Biodiversity design Biodiversity design,otherwise our future sustainability will be affected to the brink of disaster of out civilisation. What is biodiversity? Read on biodiversity. It is planting of a vierty of plants( fauna) to encourage the viriety of animals( fauna) and the ground should be rich( habitats) for these growth.The planting of trees should be a combined effort of Landscape Architect and a Ecologist to produce diversity of plants , animals and habitats for its survival. Biodiversity should be further enhanced by incorporating EM-Effective Microbes. Effective Microbes which kills the bad bacteria and help the flaura and fauna to live in a healthier environment. Improving the biodiversity of the environment helps to improves healthier people, cleaner water,cleaner air and well being of people. It reduces energy consumption, reduces water footprint, energy footprint and ecological footprint. 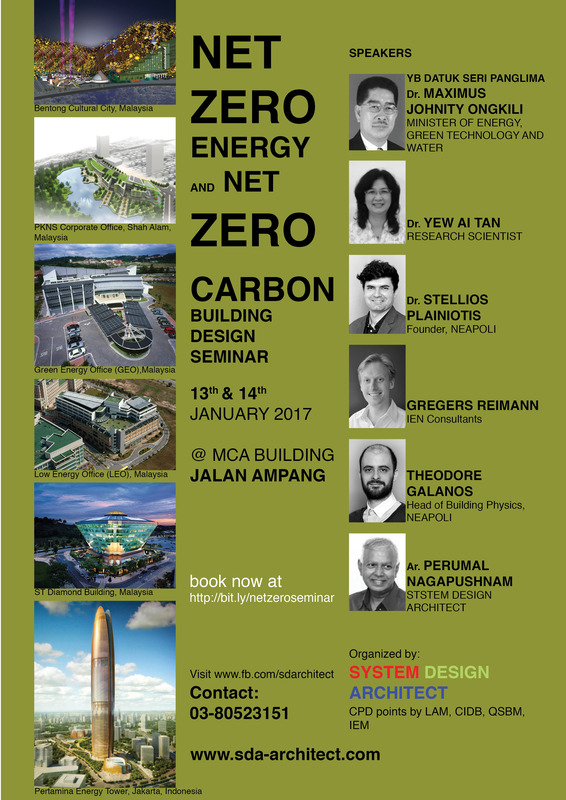 This is a synopsis of the all the 14 talks In our Net Zero Carbon Seminar . 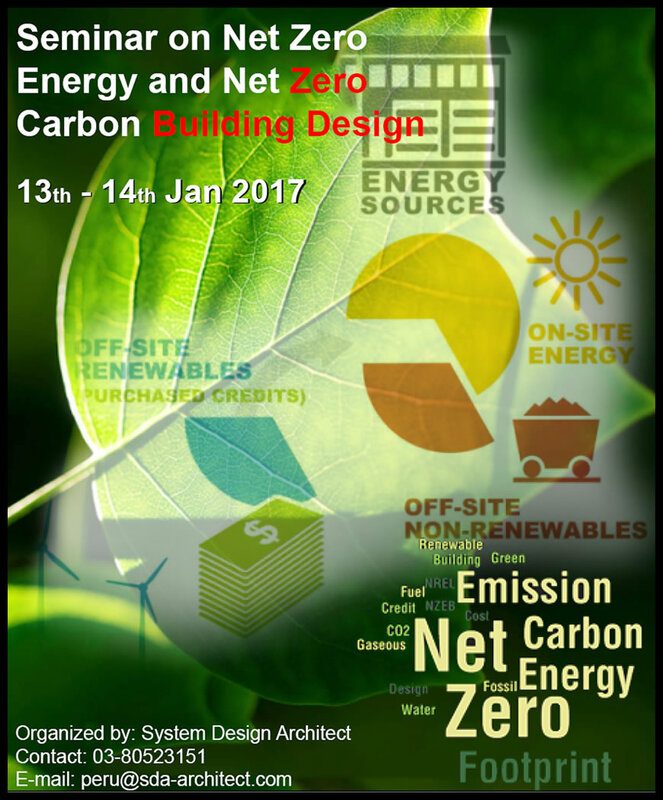 We have organized this Net Zero Carbon Seminar with the intention to promote the idea in simplicity for all to understand. 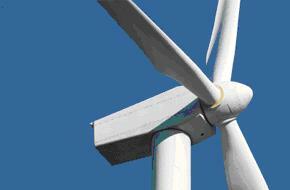 This will spear head the designs of buildings as Energy Efficient . Design of building will be a response to the call of global weather changes. This seminar is also some time refereed to as Architect Seminar,Architect training,Architect workshop,Engineering workshop,Engineering seminar, Engineering Training,Architect Conference, Engineering Conference, International Architect Conference or International Engineering Conference. 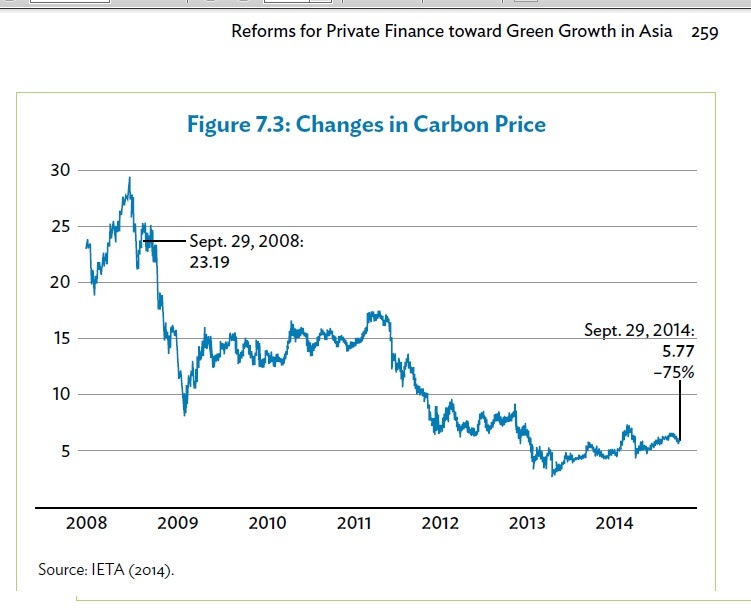 At the UN Climate Summit in New York on 23 September 2014, the Prime Minister of Malaysia reiterated Malaysia&#39;s commitment towards reducing its carbon emissions, in terms of emissions intensity of its Gross Domestic Product (GDP), by 40% by 2020. This will be implemented by reducing carbon emissions through new policies on climate change and green technology. Under the 11 th Malaysian Plan, RM 2.3 billion has been set aside for green technology based projects. This pledge, originally made at the United Nations Climate Change Conference (UNFCC) 2009 in Copenhagen, Denmark, was conditional to receiving technological and financial assistance from developed countries. This year, Malaysia looks on track to hit the targeted carbon reduction emissions having achieved 33% reduction carbon intensity of its GDP. 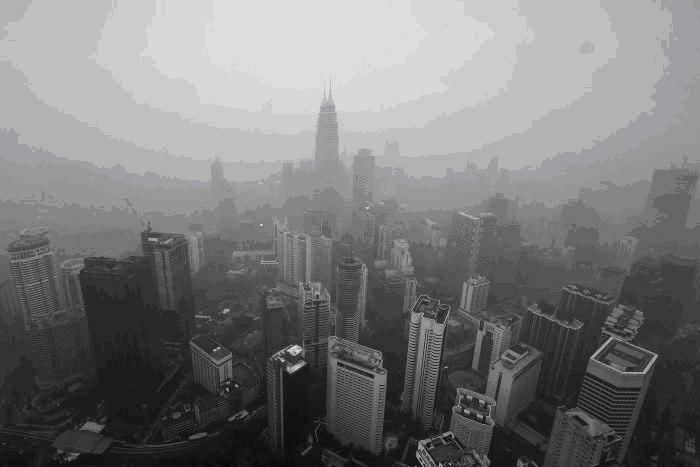 As GDP is the monetary value of finished goods and services, Malaysia will therefore have to grow its GDP without a parallel increase in emissions in order to achieve the 40% reduction. against climate change, there must first be acknowledgement that the burden must be borne by all. The next step will be how each and every one of us, the residents of planet earth, can help in reducing carbon emissions with a target towards achieving zero net carbon emissions. Before embarking on efforts to achieve zero carbon emission in process and product design, it is essential to be clear and familiar with the many terms and terminologies commonly associated with carbon emissions such as greenhouse gas (GHG) emissions, carbon footprint (CFP) , carbon capture, carbon sink, carbon neutral and energy neutral, etc. For example, CFP is defined as a measure of GHG emissions over the full life cycle of a process or product including the design stage, if applicable. It is the overall amount of not only carbon dioxide (CO 2 ) emissions but also emissions of other GHG such as methane (CH 4 ), nitrous oxide (N 2 O),chlorofluorocarbons (CFCs), hydro fluorocatbons (HCFs) and sulphur hexafluoride (SF 6 ) that are directly and indirectly associated with a product along its supply chain. GHG emission is an integral part of all systems of production and consumption, In the case of a process or product design, each activity within a supply chain process step which is involved in the production or design of the product must be analyzed to determine CFP measured in mass units (kg, t) of carbon dioxide equivalent (CO 2 eq) emitted. Through a carbon audit, any sector of an industry (e.g. palm oil or building industry) can systematically address environment-sensitive practices along the whole chain in the design and process of a product. One of the most important move that can be taken is to ensure that all products and services made and provided involve minimal carbon emissions. To arrive at net zero carbon emissions, emissions must be offset or subtracted and ways to achieve carbon neutrality will be highlighted in the paper. Suggestions on the formulation of possible mitigation strategies to curb GHG emissions and ways to target for zero net carbon emission by balancing emissions with simple negative emissions solutions such as tree- planting and the use of other more advanced technologies including the use of renewable energy generated from waste products, the sun or wind will also be discussed. The goal is to provide required information on the importance of our shared responsibility to reduce carbon emissions in the hope of ending the high emitting and energy-hungry practices of the modern world. Net-zero energy buildings (Net-ZEBs) are a quantifiable design concept and an absolute solution to minimize the operational environmental impact of buildings. However designing such advanced buildings presents a challenge because there is no established design strategy to methodically reach the goal and many of the available calculation tools have limited applicability for Net-ZEBs. Appropriate modelling of building-integrated energy systems (passive and active) is essential for the design of ACMV systems and the study of optimal control strategies. These systems will play a major role in achieving the net-zero energy goal and need to be carefully selected, modelled, and sized for an optimum design. This talk focuses on optimizing active ACMV systems with emphasis on building simulation and parametric analysis. This presentation will review current design practice and tools for designing ACMV systems and presents methods employed by NEAPOLI to design ACMV systems in the tropics. It also discusses modelling issues and outlines the procedure used in several optimization case studies by NEAPOLI. There are however great challenges related to financing the additional initial capital expenditure and to business model that includes a number of energy intensive operations associated to their customers’ comfort and expectations, therefore closely linked with their competitiveness and viability. 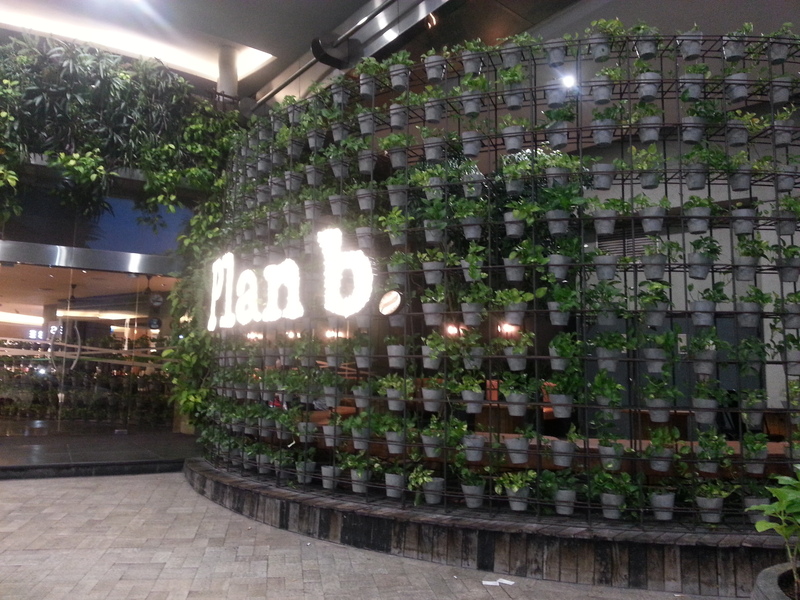 After presenting the fundamental concepts, design strategies, and technologies required to achieve net-zero energy in hospitality buildings, this presentation will discuss a case study of a Net-ZEB Hotel in Malaysia by NEAPOLI. Net Zero Energy Buildings (Net-ZEBs) represent a new paradigm that radically changes the way we view and construct buildings. Our current practices, tools, and culture involved in the design and development of contemporary buildings are not entirely compatible with this new perspective. We are in dire need of new design paradigms that will allow the re-conception of the design process itself. NEAPOLI’s Research & Development efforts are focusing on two of the most important innovative design methodologies available today: generative and parametric design. Generative design can be defined as an evolutionary process that charts the development of an original idea, searching quickly through all its possible permutations, testing different design configurations, learning and improving at each step. New design tools employed at NEAPOLI now allow cycling through thousands of design alternatives in small amounts of time, making generative design a very powerful approach especially for the early stage of design. The optimal/near-optimal value of a design parameter, always in relation to other often competing parameters. If the performance metric for a particular parameter indicates that there is an optimum value, the design team may wish to use this value in the design, assuming it is practical, economical, and compatible with other design aspects. The relative sensitivity of a parameter. This is particularly useful when multiple parameters are compared. The relative importance of accurately modelling a building system. The most care in accurate modelling should be given to the aspects that are most sensitive. Sensitivity analysis is a very important confidence building tool for NEAPOLI consultants. This presentation will provide an exploration of these innovative design approaches, it will show how they can provide competitive advantages over contemporary processes, and finally share ideas and examples of their implementation in the design of Net-ZEBs. Traditional construction practice created buildings to meet current needs, without addressing how well they fit with the natural environment. Because they were lacking adaptive capabilities, they would usually require remodeling or replacement when use-patterns or external conditions changed, an approach that is costly both financially and environmentally. Net-ZEB buildings can provide solutions to this because not only are designed and built to produce all of their own energy, capture and treat all water, but they can also designed and operated to have a net-positive impact on the environment, including repairing surrounding ecosystems. However new and innovative tools are required to achieve and realise that vision. While generative and parametric methodologies are gaining ground in both architecture and design practices, their practical use remains limited due to the lack of design tools equipped with generative and parametric capabilities. This presentation will describe the current status of generative and parametric tools for the building design industry and how these are being used to improve building design. In a workshop-like manner, the audience will be taken, step-by-step, through real-life design examples showcasing NEAPOLI’s ‘box of tools’ paradigm which allows the development of highly complex and integrated models able to assess in parallel a wide variety of building performance and design issues. The overall integrated design approach with the Energy affecting considerations from the outset to create High Energy Performance building or Energy Efficient buildings. What is Net Zero Carbon Emission? Comparison of Net Zero Emission as defined by Challenge 2030, NREL and Zero Carbon Hub. Benefits of Net Zero Emission in design with Biodiversity in designs. In a Low Carbon World, we will have to deploy on the dual strategy of energy efficiency and renewable energy. In this presentation, the focus will be on renewable energy and its stronger and stronger case as opposed to fossil fuels. Interestingly, renewable energy costs are starting to achieve grid parity. Moreover, once the true cost of fossil fuels is factored in, namely the external costs like (carbon) pollution, the business case for renewable energy becomes even better. For Malaysia, biomass and solar energy are the most applicable conventional renewable energy sources, but once implemented on a big scale, they both take up significant land area. Therefore, apart from re-stating the importance of energy efficiency, this presentation will also examine how renewable energy can be integrated in our built environment without taking up ‘extra space’. Referencing the recent IMF study on the true cost of fossil fuels and its astounding conclusions. For Malaysia, for example, if we were to pay the real cost of fossil fuels, the petrol should cost RM4.50 per liter, which is more than double of the current cost. Calculations example of how much solar photo-voltaic panels are needed to cover the entire Malaysian annual electric consumption. The result may surprise you in a positive way. The biggest and cheapest carbon emission savings are found in the building sector. Therefore, the building sector will play a key role in achieving the low carbon sustainable society that experts are urgently calling for. This presentation will focus on Malaysian case studies of low energy buildings both for commercial and residential sector. The focus will be on the design strategies employed in the case studies, both with respect to innovative passive building design by working with the climate and with respect to innovative active design solutions for ventilation, cooling, lighting and controls. The low carbon aspect of the presentation will focus on the operational energy, which constitutes the bulk of the life-time carbon emissions for most buildings. The case studies presented have achieved measured energy savings of 50% or more and often with an attractive short payback time from reduced monthly energy bills. The presentation will also re-examine how to approach thermal comfort for people in an energy efficient way and with the added benefit of providing improved air quality. Case study no. 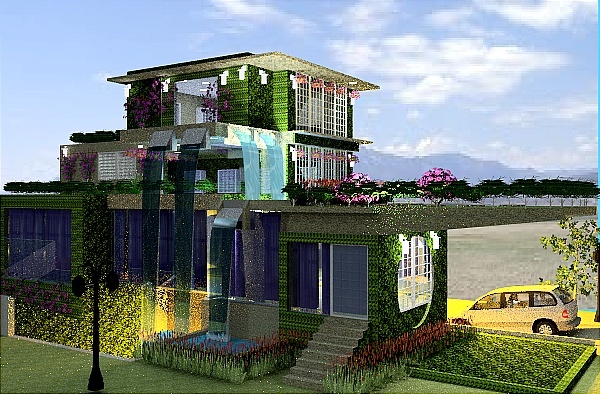 1: Zero energy bungalow (2016) in Kuala Lumpur with innovative natural cooling system that lowers the indoor temperature by 2-3°C, hence, eliminating the need to use air-conditioning. In fact, the bungalow does not have any air-conditioning installed. Case study no. 2: Innovative high rise day-lighting system (2015) in Kuala Lumpur. Even though the occupants engage the manual facade window blinds, the daylight system maintains 7-meter perimeter zone of the office fully day-light. Case study no. 4: Innovative energy efficient and low energy slab cooling as exemplified in two Malaysian offices buildings, the GEO Building (2007) and the ST Diamond building (2010). At the UN Climate Summit in New York on 23 September 2014, the Prime Minister of Malaysia reiterated Malaysia’s commitment towards reducing its carbon emissions, in terms of emissions intensity of its Gross Domestic Product (GDP), by 40% by 2020. This will be implemented by reducing carbon emissions through new policies on climate change and green technology. Under the 11th Malaysian Plan, RM 2.3 billion has been set aside for green technology based projects. This pledge, originally made at the United Nations Climate Change Conference (UNFCC) 2009 in Copenhagen, Denmark, was conditional to receiving technological and financial assistance from developed countries. This year, Malaysia looks on track to hit the targeted carbon reduction emissions having achieved 33% reduction carbon intensity of its GDP. As GDP is the monetary value of finished goods and services, Malaysia will therefore have to grow its GDP without a parallel increase in emissions in order to achieve the 40% reduction. The Climate Change problem will never go away on its own and ignorance on its seriousness is no longer an excuse for inaction. 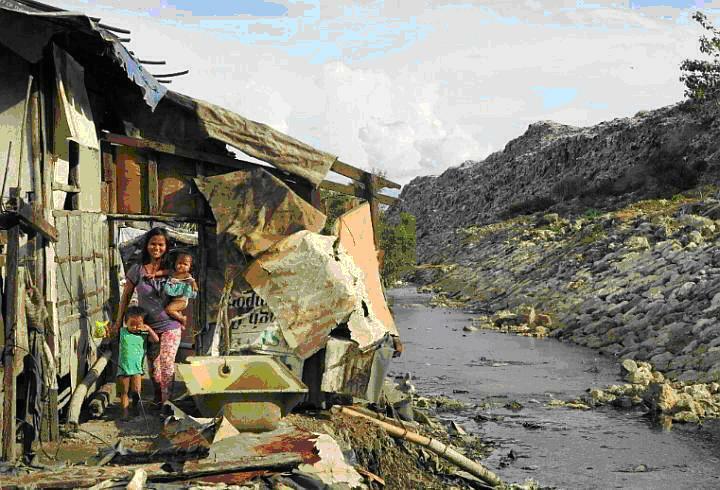 For effective mitigations against climate change, there must first be acknowledgement that the burden must be borne by all. The next step will be how each and every one of us, the residents of planet earth, can help in reducing carbon emissions with a target towards achieving zero net carbon emissions. 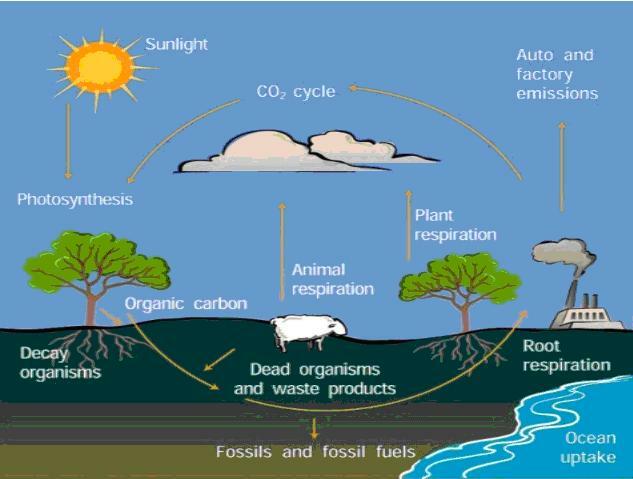 Before embarking on efforts to achieve zero carbon emission in process and product design, it is essential to be clear and familiar with the many terms and terminologies commonly associated with carbon emissions such as greenhouse gas (GHG) emissions, carbon footprint (CFP) , carbon capture, carbon sink, carbon neutral and energy neutral, etc. For example, CFP is defined as a measure of GHG emissions over the full life cycle of a process or product including the design stage, if applicable. It is the overall amount of not only carbon dioxide (CO2) emissions but also emissions of other GHG such as methane (CH4), nitrous oxide (N2O), chlorofluorcatbons (CFCs), hydrofluorocatbons (HCFs) and sulphur hexafluoride (SF6) that are directly and indirectly associated with a product along its supply chain. GHG emission is an integral part of all systems of production and consumption, In the case of a process or product design, each activity within a supply chain process step which is involved in the production or design of the product must be analysed to determine CFP measured in mass units (kg, t) of carbon dioxide equivalent (CO2eq) emitted. Through a carbon audit, any sector of an industry (e.g. palm oil or building industry) can systematically address environment-sensitive practices along the whole chain in the design and process of a product. One of the most important move that can be taken is to ensure that all products and services made and provided involve minimal carbon emissions. To arrive at net zero carbon emissions, emissions must be offset or subtracted and ways to achieve carbon neutrality will be highlighted in the paper. Suggestions on the formulation of possible mitigation strategies to curb GHG emissions and ways to target for zero net carbon emission by balancing emissions with simple negative emissions solutions such as tree-planting and the use of other more advanced technologies including the use of renewable energy generated from waste products, the sun or wind will also be discussed. The goal is to provide required information on the importance of our shared responsibility to reduce carbon emissions in the hope of ending the high emitting and energy-hungry practices of the modern world. The orthodox goal of increasing housing for growing population needs is now slowly being replaced by a shift in focus to buildings that promote variety, access to healthy and clean air, and a healthy and ecological sustainability environment. This is driven by risks that climate change poses for human and natural systems. Global warming, sea level rises and associated extreme weather events are now adversely affecting population health and will continue for centuries to come. With over half the world’s population now living in urban areas, resilient urban housing plans will need to incorporate more extensive approaches to meet the challenges of a world imperiled by severe weather conditions resulting in floods and droughts. Attention will be on enhancement of ecosystem health as well as the health and support of thriving urban environments. The building and construction industry is known to be the one of largest contributors of environmental pollution. According to the United Nations Environment Program Report, buildings account for a third of greenhouse gas (GHG) emissions, 25% of global water consumption and 40% of global energy consumption and resources. The fact that this energy consumption in buildings can be reduced by 30% to 80% using proven and commercially available technologies accentuates the importance of greening buildings as one of the most effective ways to reduce the carbon footprint (CFP) of the building and construction industry. The main objective of Green buildings is to reduce negative impacts and increase occupants’ health. Green buildings address issues concerning sustainable site planning, water and energy efficiency, conservation of resources and improved health, and the impact of buildings on health and indoor environmental quality. The Malaysia Green Building Index (GBI), initiated in 2009, is based partly on USA’s Leadership in Energy and Environmental Design (LEED) but adapted to fit the Malaysian climatic conditions. The LEED rating system is a voluntary U.S. based green building programme which aims to “evaluate environmental performance from a whole building perspective over a building’s life cycle, providing a definitive standard for what constitutes a green building’’. In essence, the LEED method rates the energy and environmental performance of buildings and is clearly an environmental assessment tool. CFP is a computed number which an industry can use as a baseline reference for improvement. At the same time, the methodological tracing through Life Cycle Assessment (LCA) of the various sources of GHG emission in sustainable buildings will give a clearer indication on where mitigation steps can be implemented for GHG reduction. LCA is also an essential component of building assessment as it is a step-by-step process for evaluating the environmental burdens associated with an activity, product or process. The method, based on the life cycle of the activity, product or process identifies and quantifies energy and materials used and wastes released to the environment, thereby assesses the impact of those energy and material use and wastes to the environment. LCA is applicable to all system levels in the building sector. Each system has its own set of assumptions and limitations and each is designed to address certain aspects of environmental impacts. An inventory of all inputs (e.g. energy, material, water used) into and outputs (final product, emissions, wastes) out of the system will allow for calculation of impacts based on energy consumption, waste generation or other impact categories such as global warming or land use. The approach can be used for the selection of building materials or for assessing the environmental impact associated with the physical building. Therefore, in order to obtain useful information from environmental assessment of buildings, the rigor of an LCA approach can be used to support and complement the evaluation of LEED compliance. Malaysia’s Green Diamond Building headquarters of the Energy Commission (Suruhanjaya Tenaga) of Malaysia in Putrajaya won Southeast Asia Energy Prize in 2012. The building, completed in 2009, earned Platinum ratings under Malaysia’s Green Building Index (GBI) and Singapore’s Green Mark program. DesignBuilder, a software developed recently. It is a state of the art software tool for checking building energy, building carbon foot print, lighting and comfort levels. 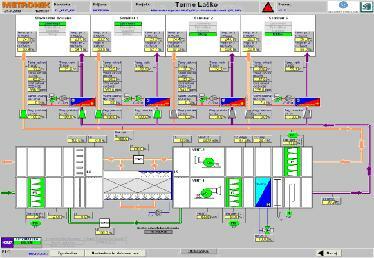 The software simulates real time situation and compares performance levels of each parametric. 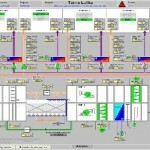 It interfaces with by EnergyPlus a software developed by DOE, Department of Energy, USA. DesignBuilder gives environmental performance data during all stages of the design process. It is a great contribution to the 7 Tools for Net Zero Energy. a) temperature distribution along the atrium, b)the adequacy of the diffusers for air distribution, c) adequacy of air conditioning diffusers and outlets for comfort, d)the adequacy of natural ventilation, e)the effect of wind speed in the locality affected by the shape of the building f) stale air islands are discovered. The negative effect of humidity and hygrothermal situation are predicted early, that which affects the durability of buildings. The covered area for the pedestrians, protection during a storm is studied. by studying the intensity and spiral distribution of driving rain. Understanding the building sun and shadow will help to discover sides of the building that needs to insulated from heat gain or heat loss.The shadow analysis will help to evaluate the effect of window and shading devices that keep the building comfortable. Daylight factors, dynamic and climate based indices(Spatial daylight automation, useful daylight illumination, daylight availability) are studied . Standard report detailing eligibility for Energy and Environmental performance in Leed. are provided. And Photo realistic situation and daylight simulation are studied. 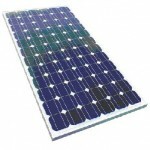 PV*SOL is a software that is used to study the optimum amount of solar panels that are needed . This is the energy that helped the pioneering Americans to conquer the frontier, where, every village and farm was dotted with a wind mill . Wind energy is free and clean and available in abundance and created without having to burn fossil fuels or manufacturing process that damages the environment. The estimated energy that can be harvested in the wind is 20million MW world wide according to World Metro logical Organization. c) It is cost less those solar or any other sources of energy. It is about 3 cents/kWh compared to 5cents for coal powered plants. 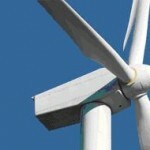 f) The cost of wind energy does not depend on the prices of fossil fuel or the market forces. g) It is 60% efficient compared to 20 to 40 % efficiency of Photo voltaic panels. Total off shore wind energy off the US Atlantic has the potential to take off the fossil fuel by 30% total energy off the grid. Google has scheduled to construct along the Atlantic ocean for deep sea wind turbines along a 35m transmission line to generate electricity for 17.000 households- Block Island Wind Farm will tap the enormous energy of the Atlantic coastal winds. A modern wind turbine produces electricity 90% of the time, but it generates different outputs depending on the wind speed. a turbine’s best efficiency is 40% at a wind velocity of 9 meters per second (about 20 mph), it will be 40% only at that wind speed. At all other wind speeds it will be something worse. The amount of energy the world needs is 155,500TetraWatt per Hour, which is 155.5x1012KwH. The amount of energy the earth received from the sun is 10.3x1017KwH which compared to amount of energy that is sent in not 1%, not 0.1% but 0.015% which is a pittance of a proportion. Conclusive is to say that this calls for a case of renewable energy, if we could tap the energy from the sun, the energy we consume is hardly anything to think off in comparison to the environmental damage we create by fossil fuel. The energy of the sun is used for converted into wind, wave, movement of air and the vegetation in it. Moreover the amount of Geothermal energy available in the US , according to a report produced in Harvard ,is sufficient to supply the US’s energy for 2000 years. Here are reasons persuading for the case of Greening our Cities and Green Ecological Biodiversity for all Architects to be informed. It is known from research that the heat island effect is reduced as there is more green vegetation in the surrounding, the ambient temperature is lowered. Building aprons around the building which tend to conduct the heat into the building, therefore it is best to use grass Crete or turfs at the building surrounds in lieu of aprons. Road pavements should be replaced with grasscrete. Smart landscaping reduces the energy consumption in the building, where it is primarily used for shading and warding off the heat from the building and in redirecting the cold wind winters away from the building will help to reduce the energy consumption by 10 to 50 percent of the energy bills. Shading the air conditioning units will help to improve energy efficiency. Read on save energy by landscaping. Pest controls –Green Ecological biodiversity will certainly go a long way to reduce pest controls, such as reduction of mosquitoes, rats which is a prevalent problem from New York to Singapore. In NYC which is a concrete desert , which has little trees resulted in an ecological imbalance of rat population, which as large as the human population in NYC. The problem arising from this imbalance is rat related diseases, oriental mites, etc. 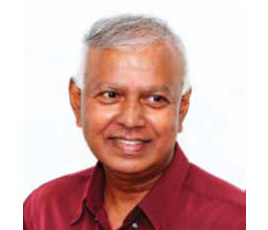 The solutions may be to enhance the Greening the city with Green ecological Biodiversity. In the recent Greening of Singapore City, which was to green the city but failed to keep ecological bio diversities in place is keep away the bird and bats from the city, which resulted in an increase of mosquitoes and rats. The bird and bats eat up mosquitoes and rats and help to keep the balance. And eventually the recourse was to increase pesticides to kill the mosquitoes which in turn affect the water ways. The solutions to these cities going Green Ecological biodiversity. Humus compost Waste– the waste from the Green landscape can be converted to natural humus compost, natural manure which helps the soil acidity in balance, healthy soils and keeps the bio-tic cycles( worms and living organism) of the soil in balance. 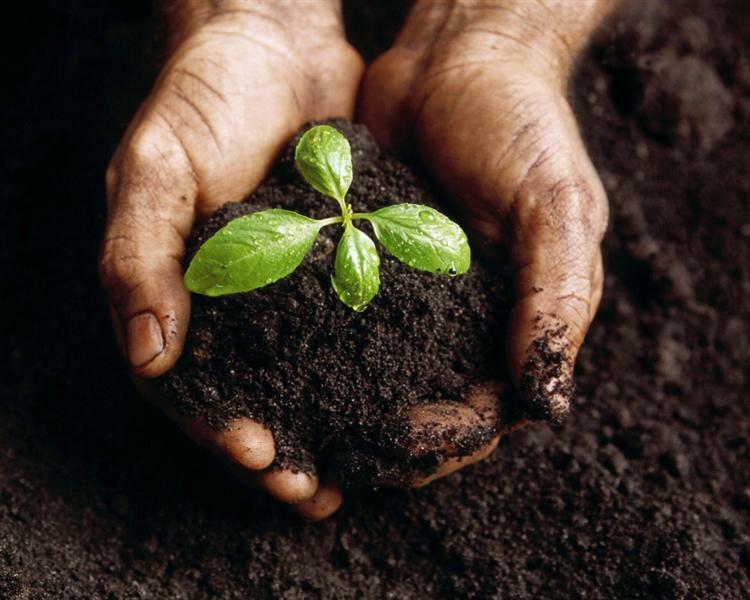 When petrol-chemical based fertilizers are introduced into the soil, it destroys the worms and destroys the balance of the acidity of the soil and harden the ground and destroy the productivity of the soil whereas the compost based manure created by plants builds and keeps the soil soft and moist with a Eco balance. Oxygen is necessary for our bodies in the following respects: a lack of it creates a tendency toward committing suicides, In Utah there is an suicidal epidemic due to the lack of Oxygen in the thin air, and an aggressive greening strategy of Utah city will certainly help to reduce the thin levels of Oxygen in the mountain tops air.The green ecological biodiversity will introduce more oxygen into the air. There are many hundreds of other reasons why Oxygen is needed – for brain developments, speedy human body recovery, reduce respiratory diseases, improves immune system , which are emphasized in the alternative medicine . Green trees ionizes the dust and the dust from the air falls to the ground and thus helping to keep the air scrubbed, fresh for human use. It was discovered from researches that if beautiful scenes placed in hospitals bedrooms helps patient recover 30% faster and uses 30% less medication for recovery. This goes to say the same for homes and offices; we are resilient from the mental and physical stresses that we are inflicted at work by having green scenes in our building s and cities. Research also reveals that the no of occupants taking sick leave is dropped with green ecological biodiversity. This will help to enhance the productivity of the staff and people. The investment on Green ecological biodiversity comes with an increase in the value of property . 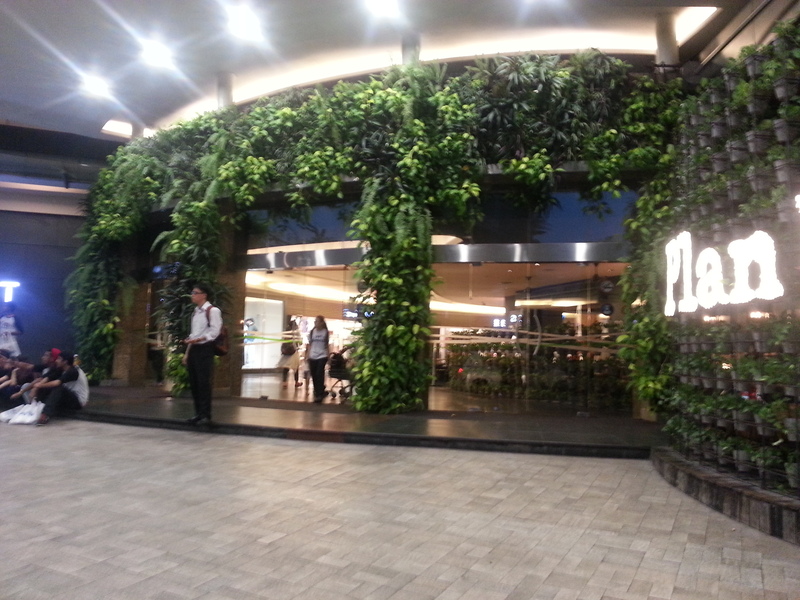 This based on the Green of Singapore resulted in overall increase in value of the city.. I refer to landscaping with Green ecological biodiversity and and not the “Go Green Certification movement” ( such as LEEDs, or Mark, GBI certification). A developer complaint that he does not get higher rental by having invested on Platinum certification by Green bodies. Research reveals that greening with landscape within the building and in the surrounding will tremendously improves the quality of life and decreases the absenteeism of the workers and tenants working in the building and this helps to increase the productivity of the occupants. As rain water is treated in the blue infrastructures that work in complement with the green infrastructures, water is stored and recycled for our consumption by water hydrology, which in turn reduces waste water and polluting the rivers. Bios vales are used to clean up the water, reprocessed and recycled for consumption even as portable water. The forest does not need human care such as watering the forest; neither does it need insecticide and pesticides to survive. We can learn from the natures bio-metric to be independent self sustaining and self reliant. If we can establish the green ecological biodiversity of plants and landscapes, biodiversity of the animals that inhabit the landscape and biodiversity of the Eco cycles that help symbiotically one cycle to another for survival can we be self sustaining and self reliant. The fish in a water tank, with enzymes, bacteria, fungi, green weed and the snails is self reliant. The weeds produces O2 for the fish to live on, which in turn produces C02 for the weed to live on, the enzymes and bacteria eats up the waste of the fish and keep the water clean. The symbiotic relationship exist and so should we as Architect do likewise for our future survival and self reliant sustainability. Many are skeptical about the reality of Net Zero Energy Building Design. As such I though it is best to show you the buildings which have achieved the Net Zero Energy Building Design status. This Net Zero Energy Building Design approaches and strategies has become a trend world wide as the movement is catching on quire rapidly. Here there are 5 cases of the strategies adopted world over from Indonesia, Malaysia to the US. • Compartmentalization of ventilation spaces provided the best controlled fresh air into the apartment spaces. 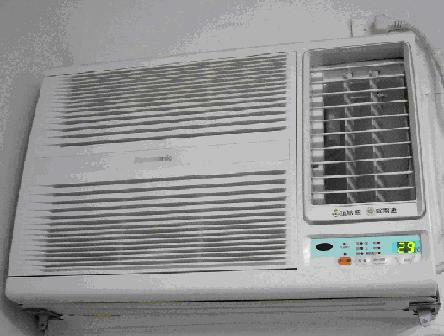 • A high-performance air-source heat pump was introduced as a heating plus cooling system. • Domestic hot water included heat recovery from the drain as a pre-heater and recovering the waste heat from the VRF system by using a heat exchanger. • Resiliency (no boiler on the lower floors); and most important, dramatically lower carbon emissions. 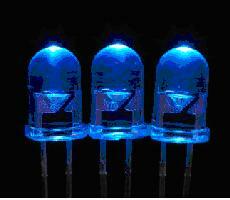 • Lighting strategies include low lighting power density (LPD) design solutions while maintaining acceptable levels of illumination. Where applicable, occupancy sensors and bi-level lighting controls are evaluated. The most efficient available appliances are considered for apartments and common areas. 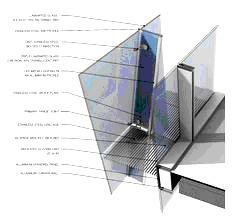 • Operable windows and other measures to increase its energy efficiency. 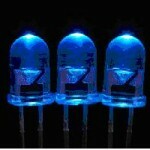 • Reducing the need for heat-generating light fixtures. • The BMS controls the heating & cooling , the window shades, operable windows , composting, water treatment, and ventilation. It is the world’s first net zero energy commercial office building. • Double-pane windows reducing heat gain and provide day light harvesting. 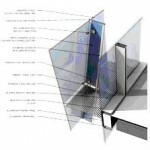 • Energy efficient building envelope. • Day lighting with controls of blinds and light shelves. 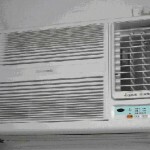 • High efficiency pumps and fans. • Desiccant heat wheel DE-humidification. • Energy efficient office equipment. • Concrete slab thermal cooling and storage. • Wet/ trickling water night cooling roof. • Phase change thermal storage. Energy performance for the facility is 50% better than ASHRAE 90.1 standards. 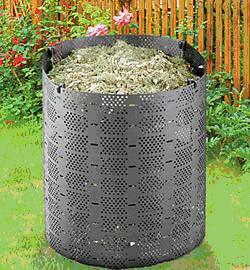 • demand-controlled outside air system with energy recovery. • A ‘wind funnel generate energy. • The tower’s curved facade will reduce the heat gain throughout the year. It was period during the time of King George’s Rule in England from 1720 to1840. It is during the rule of George I , George II , George III , and George IV. What are the characteristics of houses styles and building in the Georgian Architecture? Architect, Green architect, house design, Indian house, Indian house design, Net Zero, Net Zero Energy, Net Zero Energy Architects, NZEB, What is Indian house design? The houses in the North of India is not different from the houses in South neither were they any different form homes in the East – nor the West. However some enclaves in Goa and Pondicheery had remarkable difference because of the Portuguese and French influences for a much longer period of time than rest if India. The Royals(refereed to as the Raj) lived in huge palaces where their wives and nuclear family lived in. In most places there were a large central courtyard where royal functions took places , where guards paraded with the elephants and a place of ceremony for the Raj. It was heavily guarded with one main entrance and with secret passages for Princely families to exit during wars. Water supply was secretly duct-ed underground to from the mountains for consumption at the Palaces .These water were designed for fountains in the gardens and dropped along window openings to allow the wind to pass through creating a cool breeze into the courtyards. the Net Zero Energy Architects should note that the passive designs were traditional used in the ancient architecture of India with respect to cooling with water and massive walls were good insulator of heat during he summers. While in the courtyards held functions, the children and the wives were not to be seen in public spaces, they watched the function form hidden rooms from above the courtyards. The word Bungalow, is an Indian word adapted by the British for single storey house in large compounds.Landlord lived in Bungalow whereas peasants lived in Villages. These Bungalows were places where the rich landlords lived in. Traditionally this bungalow , Indian House Design patterned after the palaces of the Princely palaces-courtyard house were common. The bungalow was elevated above the ground which led to an central hall which led to the master suite on one side, and to the visitor’s room on the other and the main dining hall. Check out for some great design of Indian houses at http//:www.sda-architect.com The dinning hall had view of the central courtyard which was visible form the master suite, and all the other bed rooms. The maids quarters and the kitchen were at the end of the courtyard. A corridor led to the kitchen that butted the courtyard. The Temples were built in granite stones, sometimes mountains en block were carved and chiseled out to form the temples in the South of India. Use of precious stones in the temples were quite normal in their devotions.Marble for surface treatment was also common as it was found abundantly eg the Taj Mahal. Houses in the villages were usually had a front terrace where the folks sat out in the evening for a yarn.On entrance it lead to a common hall which was like Living room and Dinning room combines. There were rooms in the rear for the privacy of living. In the Mohenjo-daro the civilization it was known to have been built in grid lines and the houses were known to have public sewer lines and common utilities. But with the advent of rapid modernization and urban migration during the British rule the these urban planning once in greatness was lost.where the focus was not exploiting the industries of India rather than planning the cities for urban living. The Challenges of the Building Architect is greatly increased as the Knowledge that an Architect should imbibe is already a difficult and a broad one.But the additional roles of the Net Zero Energy Building Architect. for now and in the future is becoming even a more arduous and a difficult journey to undertake and to become a Net Zero Energy Building Architect. There was much accolade and hue and cry when Pyramid Building in Putrajaya attained the Platinum certification of GBI, all over the world. The achievement of sustainability and low energy consumption buildings is only the beginning of a greater goal of being organically independent. (read below) In reality achieving a level of sustainability is only the tip of the ice berg. Net Zero Energy Building Architect should be able to meet the challenges the climatic situation poses, as necessity is the mother of invention. Architects now have found relevance in the world with sciences and not merely delve in the realms of creative and artistic world. Familiarity with the requirements of certifying programs such as LEEDs, ( USA) GBI(Malaysia), Mark standards( Singapore). This goal is to be organically dependent of the utilities provided by the National Utility providers for electricity, water and waste disposal etc. As much as the US should be minimizing the dependence of oil from the Middle East, so should we be in every aspect of maintain and achieve independence to outside sources.Imagine we had a Tsunami as in Japan, our total dependence on the Utility companies can pose a great danger, if the Tsunami was worst than it did, Japan may have been wiped out the world power. Our long term survival depends on our independence from the external sources. This principle is greater than the sustainability of building which is a trend through out the world. Energy consumption should be produced economically at the site or building. which we have defined as Net Zero Energy Building. Waste should be saved form the rain harvested at the site and reserved at the site for use where water is not supplied form external supplies. Options such as pumping from underground wells should be considered as a last fall back on reserves when water in the store runs out. Rainwater can be stored underground using Biosvale storage systems. Waste water disposal should be recycled for reuse at the site. Portable water for drinking and use at the site should be harvested at the site. Sewerage waste should be processed at the site and reused for vegetation. Does Efficiency Still Matter In The Age Of Cheap Solar? Here are steps which we used to design Net Zero Energy Building for an office commercial tower. the located in Kuala Lumpur for a utility company.We hope to win the award and as we do we will reveal the details of the project. The proposal is being considered in a favorable light. Baseline building Low Energy High Performance Building. Diagram above is a modification and reinterpretation of Tom Hootman‘s energy savings concepts. c) The Benchmark for energy consumption is established by the Consultant using the Peers Buildings Baselines and the energy pie is created with benchmark for each category of the energy pie. d) Specific modification are made based on this energy data. e)The renewable energy normally are a very costly element. it is advise that the options such as Photo Voltaic systems , wind turbines, biomass energy harvesting systems, geothermal heat/cooling systems from the ground are studied carefully to make up for the last remaining portion of the energy pie to create the Net Zero energy building . The last remaining portion reduced to a minium of the total 20-25 % of the total energy pie. Net Zero Site Energy Building -a building that produces as much renewable energy as it uses over the year. Net Zero Source Energy Building – a building that produces as much renewable energy as it uses over the year when accounted from the energy source. Net Zero Energy Cost Building-a building that receive enough financial credit to offset the energy consumption of the building over a period of a year. Model show that show how the heat is transferred from the outside to the interiors of the building architectural floor plans. Model showing how the day light penetrates top the interiors of the building and it helps Architect to design the light fittings in the building architectural layout outs. The study of a the lighting levels through out the day would show the amount of light derived from the sun into the building and it helps the Net Zero Energy Buildings Architects to design the additional lighting need ed to make the building sufficiently lighted up. The amount of light that can be daylight harvested can also be studied, note the amount of light lux derived from the sun is about 100,000-140,000 lux in comparison to what is needed in the office space is only a merger 400lux, the potentials of day light harvesting has to be considered seriously in the light of the current worldwide needs. A digital computerized model, which has information about clashes of the architectural and engineering elements, it provides information about costing, and when plug-in with time project management time line program, we are able to produce the physical model developing over the time line of the builder. The model can be used to study the thermal heat, energy model and total embodied energy of the building architectural plans. This is a great tool for architects and project management consultants. –A simple model used for computerized computation of the energy usage in the building for every month or per year based on the climate conditions, and the building insulation and orientation for buildings. A designing tool, which is helpful to Net Zero Energy Buildings Architects in choosing the mass proportion and selection of materials. – A simple model used for computerized computation of the direction of the wind into the building based on the openings of the buildings. It will help Net Zero Energy Buildings Architects to decide where openings shall be created to enable wind to be harvested. 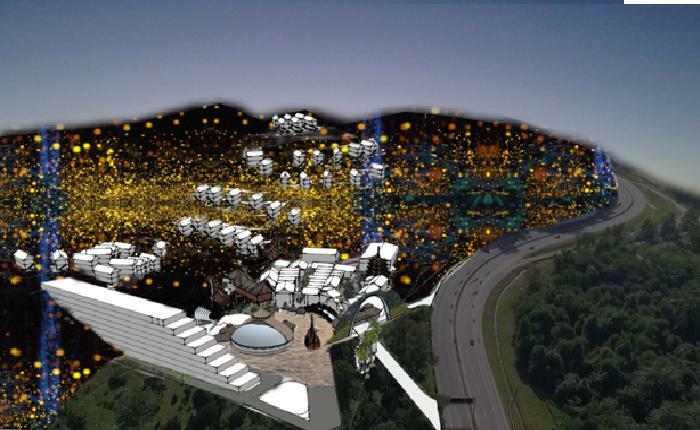 Computerized Fluid Dynamics is a study of the flow of air in a building, where the direction is established and the comfort is designed and it is a tool for Net Zero Energy Buildings Architects to remove impediments to comfort. It helps the architects to design buildings of how the heated air flows, how the ventilation of air flows throughout the building. -a model used by Net Zero Energy Buildings Architects to evaluate the proportion, the shape , bulk , form aesthetics and how the form affects the environment. – a model which reveal the sides of the building, where is heated up during the day. With the Thermal model the building designer may be able to decide how the building may be treated or insulated to keep the thermal heat from entering in to the building. The path of the sun through out the year, and how it affects the building’s shadow and how it affects the sun’s rays into the window openings and show how the sun’s ray falls on the building and the building’s shadows is cast and how the neighboring building’s shadow affect the building that is being designed. Contact us for your NZEB designs..we will be able to help you in the interest to secure the building in being less independent to the energy utility companies.check out our house floor plans.